Owl eyes - bright as stars in the night. Barred owls hoot often in the woods by my home.These nocturnal birds have a mysterious and haunting sound at night especially in the winter time. 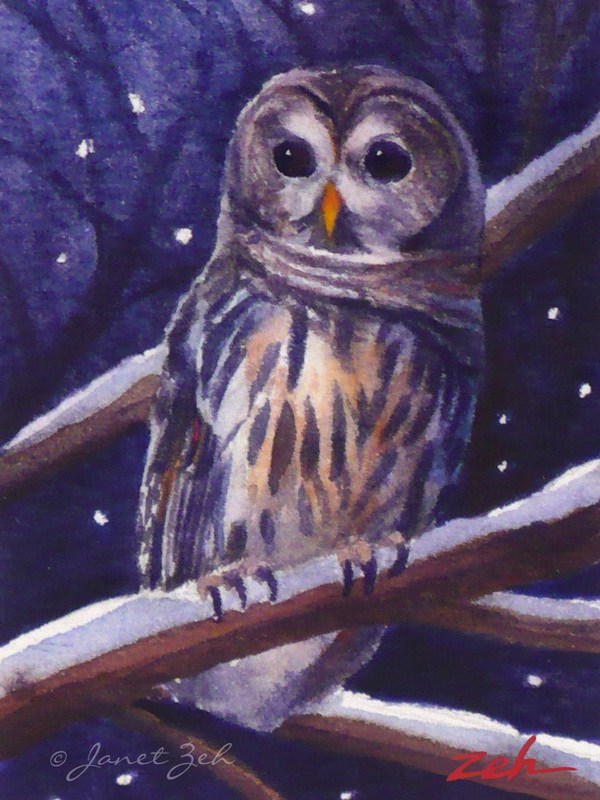 Barred Owl print comes in several sizes and can be ordered framed, unframed or on canvas. Click the Order Print button below for sizes, options and prices.